Taken very broadly, there are two kinds of management or business research thinking when it comes to teams: perspectives that think teams are a decent functional way to organise workers to work effectively, and perspectives that are much more critical of the very concept of teamwork. Instinctively, anecdotally, and from much research over the last few decades – we all know that teams often don’t work. ‘Dream teams’ of exceptional individuals can turn out to be nightmare units, groupthink and other faulty decision-making biases can make the whole less than the sum of its parts, and sometimes people end up in too many teams or don’t even know whether they’re in or out. I would argue that this is because teams are relatively artificial constructs; they are often no more than idealistic ‘boxes’ that exist unevenly only in the minds of some managers and workers. Frequently, organisations are not like traditional sporting events or the inside of rowboats – they are much more variable, overlapping, organically changing configurations of people. Being inside a team or outside a team is not a neat shift from one state to another – teams or groupings vary continually in how ‘groupy’ or cohesive they actually are. Most management research, however, has focused on teams as neat boxes or islands that sometimes conflict a bit, but generally agree in their perceptions, have stability of membership, and have a relatively fixed relationship with their external environments. In short, it has been a romance of teams, a science of convenience, and an exercise in wishful thinking. However, none of this is to say that teams are always doomed or flawed. With the right culture, tasks, and aligned sets of HR practices, teams can innovate and achieve highly effective working patterns. As with all social and workplace issues: it depends on the context and getting the conditions and circumstances right. However, many of these favourable initial ingredients or conditions for optimising teamwork either remain elusive or appear in an implausibly long list. It is no mean feat to ensure the selection of diverse members, extensive team-building and clear unifying goals. Teams themselves are also a moving target; in general they are changing: members come and go more often, technology encourages collaboration over almost any distance, and traditional hierarchies have become much flatter. 1) The individual. I want to be alone. Many job descriptions, rewards packages and other parts of the psychological contract bestowed via HR practices still revolve around individuals and their needs or talents. Many artists, technical problem-solvers, leaders and so on, may find they work most effectively as a demarcated, unique individual. Western, individualistic cultures may also favour personalised working this way, for at least significant portions of employees’ time, as proactivity, autonomy, and flexibility are emphasised in their roles. Single individuals are still cooperating, but in their own reflective way; they may also occupy special positions in social networks (see below) or fulfil boundary-spanning roles, where they are the individual link bridging units of cooperation that would otherwise have no way to interface. 2) The dyad. Two heads are better than one, but three’s a crowd. Some work roles explicitly involve pairs – software programmers check each other’s work, police officers patrol in pairs, and mentoring and other partnerships can occur in this way. But more exploitation of this unique two-person unit may be possible in workplaces than is currently realised. Some would argue that a dyad/couple is a small team, but I would argue it constitutes a special relationship. Two people cut a fruitful compromise, a middle ground between the egoistic isolation of working alone and the potentially biasing social pressures of a larger group. Of course such pairs need to be carefully matched to each other and the workflow to get the most out of the pairing. 3) The classic team. The whole is greater than the sum of the parts – go team! As discussed above, in some situations, a neatly bounded, interdependent team with a clear goal may be possible. But a team charter or checklist should be carefully put in place to ensure the key conditions are right before proceeding with what is a larger, more elaborate cooperative endeavour in terms of the numbers of people involved. Social and task criteria to keep it working effectively together will need to be addressed, including a meaningful shared purpose, a differentiated mix of suitable members, clear rules or norms, wider resource-based support, and adequate coaching. Leadership, technology, lifespan, and competing teams or other boundary memberships in the wider environment will need to be addressed, in line with the other cooperative options above and below. 4) The multi-team system. Teams don’t exist in a vacuum, but in a ‘team of teams’.Beyond single teams, research is increasingly considering multi-team systems (MTSs) or ‘teams of teams’. Army, Navy, and Air Force; or Police, Ambulance, Fire would be obvious examples, but of course most organisations contain multiple groups, divisions, functions, layers etc. with potential for forming and/or recognising MTSs. One commanding team might lead several subsidiary teams, or teams with specific goals might come together to achieve a higher goal. As with single teams, structures need to be made crystal clear and cooperative flows and linkages choreographed and monitored carefully. People may need to be cross-trained, or to attend multiple team events, but without taking on too much workload. The relationship between the immediate goals of one team and the higher goals of the set of teams need to be clarified, as well as prioritised in various scenarios. 5) The social network. The wisdom of crowds. In a sense here we come full circle as individual employees occupy distinctive positions within collaborative networks, but in an increasingly interconnected world with more permeable communication boundaries, anyone can be meaningfully connected with up to 150 others at any one time. We enter the realm of crowd-sourcing, flash mobs, consortia, and other self-organising forms of social movement or widespread cooperative organisation. The boundaries of entire businesses and sectors may be transcended, co-operators may never meet or be totally aware of each other, and finished products may be complex mosaic or snowball outputs, difficult to link directly back to the inputs and processes of diverse contributors. Yet impressive tasks and economies of scale can be achieved, sometimes on goodwill and intrinsic motivation alone. In conclusion, HR practitioners should try to take advantage of mapping this broader array of cooperative building blocks simultaneously. Rather than simply asking ‘to team or not to team?’ they should consider offering employees a greater range of performance opportunities via these other cooperative value chain options, enabling them to work more naturalistically and fully unlock their talents. Given the name of my company, Head Heart + Brain you won’t be too surprised to learn I like to have an evidence base for what I do. The ‘brain’ part of the name represents understanding the science behind leadership and change. This links to my curiosity about ideas that ‘seem obvious’ to me but that don’t get traction. I talked about this in my article on Emotional Intelligence. I feel the same about coaching. Whilst many companies use external coaches to work with senior people HR find it harder to gain traction for the manger as coach. Companies we work with still have many managers who adopt a ‘command and control’ style; that is telling people what to do. What is the evidence of which works best; coaching or telling? Is coaching actually more effective than just telling people what to do especially in complex change? I will look at some of the evidence which may help to understand which will maximise performance. Let’s look at how the brain works in an organisational context. The brain functions by making connections and associations, linking what is happening now and what has happened in the past, the memories both conscious and unconscious. This combination creates a kind of map of connections in the brain. No two maps will be the same even though the biological process for creating them is. The maps are created by making over a million new connections every second. This gives you some indication of the complexity. The brain likes order so seeks to connect new information to what is already known, to categorise it. Gerald Edelman developed the Theory of Neural Darwinism which provides a physical explanation for how our mental maps compete for resources. The way the brain seeks to predict and make connections is explained by Jeffrey Hawkins in On Intelligence. He says our prediction abilities differentiate us in the animal world. When we first encounter something we are relatively slow to understand it. Like this article we need first to get the foundations in place. In learning a new skill for example it takes a while, maybe a few minutes or days depending on the complexity, for it to become familiar, that is create the map. The more embedded these maps the more we free up mental resources. We call this process forming a habit. Habits are run by the older more energy-efficient parts of the brain. This process of shifting activity, including thinking, from the high energy, relatively inefficient, prefrontal cortex to the more efficient areas is a basic operating mode for the brain. Linked to this is neuroplasticity. Expert Norman Doidge, in The brain that changes itself points out, there is substantial evidence we can “rewire our brains with our thoughts.” Hebbs Law states that ‘neurons that fire together wire together’. So the more you focus on something the deeper the neurological connection. When we delve into and analysis a problem we are reinforcing the connections in the brain. This occurs through a process called myelination, the more a pathway is used, the stronger it becomes. When we repeat an action, a fatty covering called myelin coats the neural pathway, making connections stronger and more secure. Because the default is to go with the pathways that are developed it is hard to change habits but easier to create new ways of working. But it is still difficult to change without focused support and intentional effort. The other relevant question is whether there are distinct functions responsible for emotional, as opposed to general intelligence. Research by Reuven Bar-On isolated these regions by studying people with damage to the brain in areas correlated with diminished ability in understanding self and understanding others. His findings clearly point to brain areas which relate to understanding self and others, that is Emotional Intelligence, which are distinct to areas associate with general intelligence. So with this understanding as background let’s look at the impact of telling someone to change verses coaching them to change. A premise of coaching is that people work things out for themselves. The difference between being told and having insight is all about creating new mental maps. If you are thinking about something like how a new process will work or the reaction of your team to a new strategy you are creating a mental map. These new thoughts are energy consuming from a brain perspective so you often do this when your brain is freed up from other activity like in the shower or on the walk to work. This type of thinking creates what we call an ‘aha moment’ or an insight. This is literally new connections happening, a new map or part of a map is formed. If you are told how to carry out the new process or what the strategy means for your job you still have to create that mental map. So coaching insight is more brain-savvy than telling an employee the answer. To take any kind of action people have to think it through for themselves. They can do this for themselves and immediately create the map when the coach/manager asks questions that create insight or they do it later after they have been told. The additional issue with telling is that it is more likely to set up a threat response (see more in the CORE video) as the individual’s predictions and connections are different to what was expected. As we have observed before, this difference creates an error message and a sense of pain in the brain. This in turn moves people away from the new information and increases the likelihood of resistance. Managers who tell rather than coach not only waste their own energy but they are potentially making it more difficult for employees to accept a new idea. Are your managers and coaches creating insight or giving advice? You will have experienced that an insight comes with a burst of motivation or energy but this quickly dissipates if not reinforced. Reinforcing the insight creates new connections and potentially new behaviour. Because this type of action and thinking is hard work, because it takes more brain energy, people may avoid it or give up too soon before a deep map is formed. But people are also adaptable and can find shortcuts. A new study provides strong evidence for a “flexible hub” theory of brain which has implications for using skills. “Flexible hubs are brain regions that coordinate activity throughout the brain to implement tasks – like a large Internet traffic router,” suggestsMichael Cole, the author of the study. By analysing activity as the flexible hubs connected during the processing of specific tasks, researchers found unique patterns that enabled them to see the hub’s role in using existing skills in new tasks. Known as compositional coding, the process allows skills learned in one context to be re-packaged and re-used in others, shortening the learning curve. By tracking and testing the performance of individuals the study showed that the transfer of these skills helped participants speed their mastery of new tasks, and use existing skills in a new setting. Are your coach/managers focusing people on transferring existing skills to the ‘new world’ to speed up change? Conventional wisdom, in many businesses, is that if people understand rationally why they need to do something the change will occur. Kevin Oschner estimates 70% of what we do is habitual and that includes your job. As previously mentioned habits are run by the older parts of the brain, the basal ganglia. Because habits operate out of our conscious awareness our rational understanding is not enough. Coaching on why the new behaviour matters to the individual and designing a strategy might work. Several things need to be in place to achieve behavioural change. Matt Lieberman says we must go beyond conscious systems and use our unconscious or “reflexive” systems. Goals for the new behaviour tend to be created in the conscious reflective system but we need to also control the unconscious habit system by managing triggers that generate the old behaviour. Elliot Berkman studies goal setting and achieving new behaviour and his research suggests there are several elements that must be aligned. Are coach/manages working with both systems? Are they creating new behaviour by creating new routines and rewards? Are there strategies to manage the triggers that will prompt old behaviour? The science shows social needs are primary in the brain, something many forget at work. Social pain activates the same regions as physical pain. When someone is put down, or their ways of working are controlled, or they are told what to do, especially publically, a threat response is activated reducing the ability to think clearly. You know that feeling – “I’m just blank, I have no mental space.” The frontal cortex is drained as the limbic system hijacks the energy. Again, a strike against telling! This evidence base may go some way to persuading reluctant managers to adopt a different style. But I am not going to fall into the same trap – and will practice what I preach. So far be it for me to tell you that telling doesn’t work. I’ll leave you with a few questions to generate you own insight. What reaction have you experienced when telling someone to change? When has telling someone to do something differently worked? What has been the benefit for you of creating insight in others? What, good, surprises have you got from asking questions rather than telling? So why yet another book – mine? Although there are lots of great leadership recipe books and stories of leadership success and failure, what I couldn’t find was any analysis that connected our biology as a species that loves to be led with what we see going on around us in business. Cometh the moment, cometh the man or woman. History teaches us that just when we are in our darkest hour, a hero emerges to show us the way – Winston Churchill and Nelson Mandela in politics, GE’s Jack Welch and IBM’s Lou Gerstner in business. Smart businesses and societies organise themselves in ways that help these leaders to emerge, but history’s parade contains as many disappointments and disasters as successes. What’s special about leadership is that leaders can be game changers; rewriting the conditions under which success and failure are defined. Leaders are the tools of historical forces, and the makers of history. Being – who you are – determines what you do. In leadership, character matters because we view the world through a prism of identity. Many leaders succeed and then fail because who they are filters how they see the world and scripts the actions they take. Look at Kenneth Lay, architect of the Enron disaster. Doing – what you do can shape your character. This is especially true of malleable people not troubled by strong instincts and impulses. They can be conditioned. Tony Blair’s account of his ‘journey’ through his premiership seemed to involve a lot of development and discovery by doing, but it was seeing – his analytic capabilities applied to experience – that informed his choices. Seeing – this is the most fundamental starting point for leadership, and the least regarded. It is the vision of leaders that drives them and us on. They see the world as it is and how they wish it to be. The challenge they face is to keep pace with the environment and the effects of their actions. How Being, Doing and Seeing work together can be illustrated by thinking about change. Did you ever try to influence someone – like a spouse, a boss, or, worse, a teenager? Often we try to do this by direct attack on the Being part – ‘Get your mind right will you, please? If possible, be like me’. Does it work? Does it hell! OK, next tack – try changing the Doing part, say by forcing a person down a new route, with the aid of rules, rewards and punishments. That’s the thing – the only person that can change you is you. This is a special human gift: the ability to change our lives and states of being in an instant, like Saul on the road to Damascus. Great leaders know that seeing – vision – is the key to influence. Steve Jobs enveloped people in his ‘reality distortion field’ (a Star Trek concept applied to him by a colleague) and Jack Welch was a master storyteller. There are many different kinds of leadership situation – every time you get promoted, take on a new assignment or employ new people, your leadership situation changes. Look at financial services, where an almost nonexistent leadership culture with everyone contentedly churning inside a bubble of self-inflating growth now finds itself struggling to be reborn and crying out for a new style of leadership. Leaders like Robert Maxwell, Goodwin, and Al ‘Chainsaw’ Dunlap (of Sunbeam) were surrounded by likeminded supporters in a climate where bad news was often suppressed. Leaders have to go undercover in their own organisations, engage in counterfactual thinking and allow their vision to evolve with a changing reality. It just takes time, discipline and desire. The last of these – desire – is the Achilles heel of doing what’s needed. If your backhand is weak, you may find it easier to run round and play a forehand, rather than work on your weakness. There is also a capacity problem, and here we are bedevilled by the lonely leader problem – where leaders are isolated, insecure and obsessively meddling in every detail. What is needed is not just a strong team and the ability to delegate but what I call Critical Leader Relationships – a handful of trusted confidants who can be eyes and ears, helpers and advisers, and sources of support and honest feedback. Leaders often find their narcissism and arrogance and unfettered displays of their identity – a surfeit of ‘authenticity’ perhaps – are not just rewarded but revered by followers longing for the magical protective power of heroism and charisma. On the other hand is the need for deep insights into the leadership situation – to anticipate the waves of change and ride them with agility and versatility. Welch’s virtue as a leader resided in his ability to change his strategy to match the new realities he had created. All useful at the right time and place, but reading other people is an equal need – using what I call the art of ‘decentring’ – knowing what the world looks like through the eyes of others. Management-by-wandering-about is another time-honoured insight technique – mostly practised by new leaders when they are finding their feet, but too often neglected as their in-tray piles higher over time. There are four stories, actually, that all leaders need – not necessarily to tell but to keep in their hearts and minds in how they act and communicate:1. Who am I and why I am here? This is not a recital of one’s CV but is about how to be real to people around you and show that you have chosen to be where you are for a purpose. 2. Who are we and what do we stand for? This is the ‘I’ of identity, that declares the purpose and raison d’etre for the part of the organisation the leader is responsible for. 4. Why we must change – this is the call to people on the journey to let go of the past and embrace the future. The ‘I’ of leadership is also the eye of leadership – identity plus vision, communicated with passion. Nigel Nicholson’s The ‘I’ of Leadership: Strategies for seeing, being and doing, is published by John Wiley & Sons at £18.99. We listen to someone on stage. The message resonates yet we wonder if this person is really authentic. We listen to an interview and the conversation seems authentic. Yet we wonder if a similar tenor of exchange happens in the privacy of their home or office. We call individuals to be an authentic leader yet there may be as many definitions on what authenticity is as there are perspectives. We hear someone bluster on and we grow tired. Yet being brash is who this person is. They are being authentic. We hear of a leader really believing that working in an office is better for the organizational culture than working from home. We disagree. Yet this is the individual’s core belief. They are being authentic. We want authentic leaders yet whose definition of authenticity applies? Each is a characteristic and each is important. Who defines authenticity though? With some research, I found a TED Conversation in which the following question was posed – What does it mean to be authentic? There were 108 responses! There are varying views on authenticity. In a recent Forbes blog by Jan Bruce, she highlighted three things leaders must do to stay authentic. Each are important elements. Actions define authenticity. For me, there needs to be more to define what makes someone authentic. A group of diverse individuals could outline many other actions authentic leaders should take. There isn’t a set standard of actions for authentic leaders. Characteristics are important to being authentic, just as actions are. Interpretations vary though. What one finds authentic, another may not. The key may be found in how authenticity is realized. Authenticity needs to be a part of our very being. Interpretations may come and go. Distractions will definitely come and go. What needs to be steadfast is our authentic being. We need to have an authentic intelligence about who we are as a leader and person. We need to be smart in how we engage and maintain our authenticity. There is a smartness to authentic leaders. Smartness does not mean all-knowing; it does mean approaching your leadership craft with an authentic intelligence, knowing the impact of how you lead. To develop this intelligence, highlighted below are four ideas to consider in building your authentic leadership capabilities. Embedded empathy. Authenticity needs to be other-centered. If it is all about an individual, then the self-centeredness will eventually harm many more than any potential good done. In other words, authenticity needs to connect to others, understand one another, and raise each other up to do more in better ways. Authenticity and active empathy need to be tied tightly together. Empathy raises a leader to consider what works best for more than just one. Enabled community. Empathy leads to a leader’s embrace of community. How a leader enables a greater community raises their authenticity because it moves from a one-dimensional view to a multi-dimensional one. More than this, whatever action we take as a leader has a multiplier effect. The multiplier effect needs to be an enabled community working toward a higher-purposed mission or goal. An enabled community holds a leader accountable and keeps their focus on what is best for a broader base of people. Do they make others better? Do they call on others to raise their game in how they work, live, and lead? Authentic leaders embody a belief system that empowers all to look beyond themselves and foster a respect-filled and trust-filled environment. Preventing harm. Another key authentic leader idea is to always say and do things to prevent harm. The old principle of “do no harm” is as valid as ever. Authentic leaders do not incite others to act in harmful ways. Authentic leaders keep environments safe for honest, meaningful interactions and build cultures to encourage problem-solving, innovation, and productive working relationships. This post is a work-in-progress. It is one of the reasons they are called ideas rather than principles of authentic leadership intelligence. I do believe we need to be open to how we view a leader’s authenticity. I also believe we need to think through what enables us to claim to be an authentic leader. If we don’t understand what our authenticity consists of, then we will likely get off track and become inconsistent and inauthentic. Our trustworthiness is put at risk. More than actions and characteristics, I believe we need to have an authentic being and intelligence on what makes us real, positive, consistent influencers. 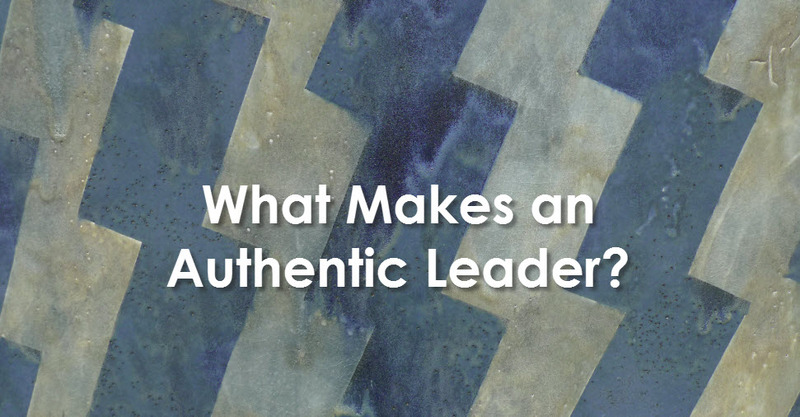 So, the question is clear: What makes someone an authentic leader? Helen Bevan is chief of service transformation at the NHS Institute for Innovation and Improvement. 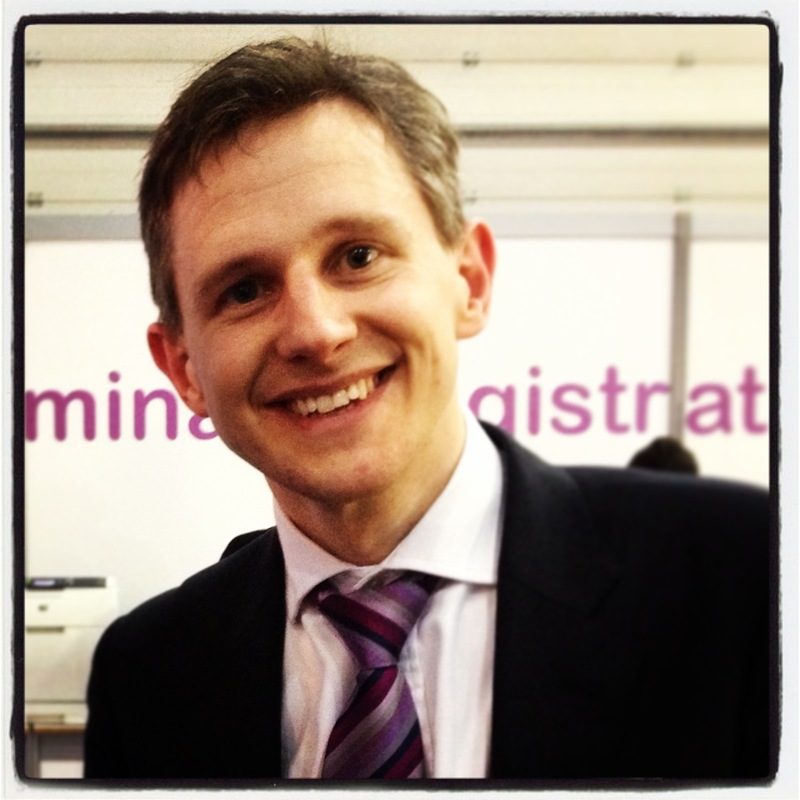 From 1 April 2013, she will be joining the delivery team of NHS Improving Quality. All views are personal. Developing a more aware and considered approach helps leaders to respond to situations (whether internal thoughts or external events), rather than react to them. It encourages a less critical view which, in turn, creates a more flexible and attuned response. When there is less clutter and fewer distractions within one’s own head it is easier to gain clarity and perspective; mindfulness allows one to both notice more detail and see the bigger picture. The full version of Cheryl Rezek’s article can be accessed free-of-charge by Public Leaders readers for a limited time on the International Journal of Public Leadership. In a large lecture hall of fellow clinicians-to-be, I was told that my job as a physician is not to be concerned with costs but rather to treat patients. My wrist, moving frantically left to right on my page taking notes, stopped. I looked up and my mind wandered: What an odd message to tell those who will be listening to ill people’s symptoms, prescribing medicine, ordering tests and orchestrating people’s care to not worry about. We have set up this dichotomy of treating the patient or being concerned with costs. We have soaked medicine with the belief that cost-conscious care is rationing at the bedside and the public fear messages that clinicians who care about costs are limiting their care. How can we teach future clinicians to be so out of touch with one of people’s greatest concerns when seeing a clinician? We know that people forgo medications because of high prices, medical bankruptcy plagues many and some cannot seek care due to cost. What other industries allow someone so crucially involved in controlling costs immunity from worrying about them? Does medicine’s unique role of saving lives exempt it from keeping an eye on the register? Is good care not cost-conscious care? Clinicians do not have the luxury to not care about costs. The American Medical Association and the American College of Physicians realize this and are blurring the line between the “treat patient” or ”be concerned with cost” dichotomy. They are framing the argument of physicians caring about costs as an ethical issue of the stewardship of limited resources and of providing parsimonious care by using health care resources wisely. This is a good first step, because bringing costs of care out of the dark eliminates this taboo, hush-hush culture of who’s paying the health care bill when it arrives at the table. Programs across the U.S. recognize this, too, and are weaving into their curriculum how physicians can be aware of costs in medicine. Research is advancing in this area as we explore in greater detail why prices vary so much: implementing comparative effectiveness research, continuing consumer-driven health care efforts and piloting interventions to control health care costs, like holding health communities accountable for the care that they provide. National campaigns like the American Board of Internal Medicine Foundation’s Choosing Wisely call attention to unnecessary care. We have seen health care costs become more exposed with Steven Brill’s Time article revealing the rates that hospitals bill to patients or use as a starting point for negotiations with insurance companies. And the Centers for Medicare and Medicaid Services made public charges for 100 of the most common inpatient services and 30 common outpatient services, displaying variations in charges across the country for services. This is not enough though. We need to continue to build this cost-conscious culture in the exam room where medical decisions are made, including both the patient and clinician, because 1) people care about costs; 2) the medical industry is not exempt from concerns about costs; and 3) good care is cost-conscious care. People care about costs. People have premiums to pay, co-pays to fork over, deductibles to reach, prescription drugs to purchase and co-insurances to manage. This is a lot of financial information for people to keep straight and to be in charge of on top of the responsibilities they have to manage an illness or care for a loved one. We worry about how much health care services will cost us. In May 2012, the Henry J. Kaiser Family Foundation reported that a quarter of polled people had difficulty paying medical bills in the past year. Six in ten have “cut corners” to avoid health care costs, such as skipping a recommended medical test or filling a prescription medicine. As one might imagine, it’s even worse for those who are uninsured, have lower incomes and are in poorer health. Clinicians need to be on the same page as their patients: Costs for their health care matter to them, and people may be afraid to talk about them with a clinician and do not have the tools to know what constitutes a reasonable price for care. Medicine’s unique ability to save lives is not exemption status from a cost-conscious culture. Just because medicine saves lives, it is not stamped “exempt” from having to think about costs. A good amount of health care is not emergency care, but rather preventive care and treatment of illness. Though health care may be a unique good in our society, the system should not be excused from having to consider sustainable models of spending. When the costs of health care are not transparent to both patients and clinicians, the temptation/decision to limit care may be hidden behind closed doors of obscure insurance policies. Other sectors of society save lives – police departments, prison systems, national security measures – and we still have to consider the costs of financing these services. Good care is cost-conscious care. Was it worth it or should I buy it? We constantly, prospectively and retrospectively, evaluate how we spend our money: taking that vacation, buying a car, eating out. Was that a valuable use of our money compared to what we gained (pleasure/utility) and would we do it again? Though fewer choices may be available in some emergency situations or medically necessary circumstances where the decision process is accelerated or removed, we still can assess whether the care that we received is worth the cost. Have I been feeling better taking this medication? Has the pain subsided and is the out-of-pocket cost manageable? Has my health improved since seeing my doctor for “X”? These questions tumble around in our minds during our treatments and after in recovery. Tools for clinicians and tools for health care costs. We are chipping away at this culture of unaccountable spending, of “running dad’s credit card,” when it comes to health care costs. But we aren’t giving clinicians and people the tools they need to partner together to take on this dragon of costs. Partly because people and clinicians don’t know how much health care services cost. Resources like Healthcare Blue Book are slowly becoming places where people can get estimates of how much their care will cost and insurance companies can give rough estimates prior to care. But these are outside of the exam room and can vary considerably. Though having these conversations in the exam room may be a tall order for some, neglecting to include such an important issue is bad care. Sending someone home with a fancy procedure and large out-of-pocket costs may not have improved his health, but rather increased anxiety and stress over having to pay for his care. He may have chosen a different course of action had he known in advance the price he’d be paying for years to come. Likewise, prescribing a medication that a person will not pick up because it costs too much does nothing to help improve that individual’s health. We have a long way to go in delivering cost-conscious care that incorporates the patient’s and the clinician’s views. Evidence-based tools need to be developed for both the clinician and patient to be able to weigh the risks and benefits of a test, procedure or course of treatment, and conversations need to be started between clinician and patient about costs. I want a cost-conscious clinician who is aware of what I’m being charged and in touch with the challenges I face in paying for my health care. I want to be part of system that acknowledges people’s concerns with costs. People should demand from their clinicians this aspect of their care, and clinicians should demand from their health care organizations the tools to be able to deliver this information. Let’s stop clinicians from passing the buck on the costs of care, and let’s teach future and current clinicians to care about costs. Sarah Jorgenson is a medical student who blogs at the Prepared Patient blog and the self-titled site, Sarah R. Jorgenson. Follow the Leading Health Care Innovation insight center on Twitter @HBRhealth. E-mail us athealtheditors@hbr.org, and sign up to receive updates here. The Institute of Medicine, in its landmark report “Better Care at Lower Cost,” concludes at least $750 billion of the total national healthcare budget of $2.7 trillion represents waste as a result of poor IT infrastructure, supplier- rather than patient-centered reimbursement, lack of quality and transparency, and inefficient operations and flow. Wasteful operations may include: delays, over-processing, redundant work, poor inventory management, inefficient transport, unnecessary motion, over-production (push instead of pull), and defects that cause harm and re-work. The airline industry has worked on these problems for decades and although its operations and flow patterns are significantly less complex than healthcare, it has mastered basic elements we can learn from to give us a jump-start on mastering and taming a difficult but necessary component of operational design that will lead to improved outcomes at lower costs. Flow through the airport affects and directly result from flow outside the airport, and air traffic control does not make any distinction. We often treat emergency department or intensive care unit flow as an isolated problem whereas every aspect of an individual’s care from inpatient, to post-acute, to ambulatory has a direct impact on the other. As it turns out, what happens to an individual outside of a hospital has a greater effect on length of stay and flow than what happens inside. Thus, we will never master hospital flow until we master the flow of the entire system. Airports function 24/7 and so should healthcare systems. Flow should be managed around the clock and utilization managers should be replaced with flow coordinators who hand off their oversight continuously based on time of day and setting of care. For instance, when a plane takes off, airport air traffic control transfers responsibility to regional air traffic control, and oversight of the flight is continually monitored from control station to control station until the flight terminates at another airport. Similarly, a flow coordinator should orchestrate a patient’s non-emergent arrival, the admission process, the inpatient care, the discharge planning process and then transfer responsibility for the patient to an outpatient flow coordinator to ensure appropriate follow up and continued optimal care. Ideally, the term “discharge” should be replaced with “care transition” so we stop thinking of moving from one environment to another as a beginning or end. The three most common bottle-neck areas in a healthcare organization are the emergency department, the intensive care unit, and the surgical areas (pre- and post-operative). The vast majority of delays in these expensive settings involve the discharge planning process as patients in these areas often have no place available to go, thus backing up operations throughout, delaying treatment for others waiting to come in, reducing patient/staff satisfaction and increasing costs. Ironically, most discharges are predictable to within one hundredth of a day based upon risk and severity-adjusted length-of-stay data bases (e.g., Premier) for each diagnosis-related group. Therefore, most discharges should be scheduled at least 24 hours to 48 hours in advance (ideally when the patient arrives) with arrangements made for nursing home or ventilator beds, physician appointments, home health on the day of admission in anticipation for discharge. Many healthcare organizations are purchasing or contracting with nursing homes, home health services, psychiatric facilities and physician practices to gain greater control and ease of scheduling by extending the chain of its operations into the outpatient setting. One healthcare myth is that emergent arrivals are unexpected. As it turns out, if emergent ED, surgical, or ICU admissions are tracked over time, the vast majority are predictable. For instance, most emergency department admissions arrive between 3 p.m. and 11 p.m. with the fewest arrivals between 4 a.m. and 9 a.m. There will be rare disasters, which require special resources through a disaster planning process; however, these can be managed and illustrate the difference between random (uncontrollable) and non-random (controllable) variation in flow. Truly random variation can and should be managed by policy whereas non-random variation should be eliminated by standardizing flow to accommodate predictable admissions in a predictable way through optimum staffing, resource allocation (including beds) and standardized admission processes. An airport only can handle its capacity of arrivals and departures at any point in time and so it manages the schedule to ensure a consistent schedule of flights throughout the week and time of day. Emergency departments, surgical facilities, and intensive care units can be similarly managed so that non-emergent patients who arrive at the ED can be transferred to lower acuity areas during peak hours, elective surgical schedules can be scheduled evenly throughout the week to avoid demand surges, and ICU admissions can be coordinated based upon regional transfer agreements in compliance with EMTALA to ensure appropriate stabilization and safety. The system needs to be viewed holistically so all of the units and outpatient facilities coordinate flow in a synchronized and synergistic way to accommodate flow throughout the system and not within a unit alone. When air traffic control delays a flight, the delayed flight does not block other flights but is directed to another area to await further instruction and movement. Delayed discharges, transfers and admissions should not sit in beds blocking patient flow but should be immediately moved to a comfortable and appropriately supervised holding area where they can be safely managed and not delay the timely diagnosis and treatment of non-stabilized patients. Most patients waiting for beds are stable and should no longer receive top priority or undermine the overall efficiency and effectiveness of the system. Similar holding areas can be utilized for admissions, transfer, and discharges if beds are interchangeable and staff is cross trained to handle a broad range of diagnoses and conditions. Although air traffic flow is simpler and easier to manage than healthcare, the industry can offer many lessons that will enable us to treat patient flow systemically as a 24/7, inpatient/outpatient, continuous operation that requires continuous management and oversight to standardize processes, exploit bottle-necks, manage random variation and eliminate non-random variation. By doing so, we can reduce costs, improve quality/safety/service and successfully compete globally for high quality-low costs services. Jonathan H. Burroughs, MD, MBA, FACHE, FACPE is a certified physician executive and a fellow of the American College of Physician Executives and the American College of Healthcare Executives. He also is president and CEO of The Burroughs Healthcare Consulting Network. Recently, the Annals of Internal Medicine, ACP’s flagship peer reviewed journal, published a paper titled, “Principles Supporting Dynamic Clinical Care Teams: An American College of Physicians Position Paper” which I believe could become the basis of such a win-win outcome. (Full disclosure: I am the principal author of this paper, along with my co-author and colleague Ryan Crowley, which was written by us on behalf of ACP’s Health and Public Policy Committee and Board of Regents). Let’s get this dialogue started — with civility, of course. Bob Doherty is senior vice-president, governmental affairs and public policy, American College of Physicians and blogs at The ACP Advocate Blog. Earlier this year, the physicians at my academic family medicine practice met with two senior officials from our parent health care organization to be oriented to its new initiatives and projects. Their presentation documented the organization’s ongoing investments of many millions of dollars into renovating subspecialty care suites and purchasing new radiology equipment that was likely to be highly profitable, but provide dubious benefits to patients. Two of my colleagues asked why, given the expected influx of millions of newly insured patients into primary care starting in 2014, and an estimated shortfall of more than 50,000 primary care physicians by 2025, the organization had not identified expansion of primary care training as a financial priority. Where exactly did they expect to find family physicians to staff all of the new community offices they planned to open? An awkward silence ensued, followed by some polite hemming and hawing about how this was a complicated issue, and that supporting generalist training would likely require additional funding that was perhaps beyond the organization’s limited resources. Additional funding required? How about $9.5 billion? That’s the approximate amount that that Medicare spends each year, with no strings attached, to subsidize the cost of training physicians in U.S. residency programs. Noting that the federal government doles out these dollars without requiring any particular outcomes from the institutions that benefit from them, some have called for Medicare to hold institutions more accountable for meeting America’s physician workforce needs. If we have a surplus of radiologists and a shortage of general surgeons, why not tie funding to training more of the latter and fewer of the former? Given the decentralized nature of the U.S. health system, though, that has been easier said than done. In particular, it is challenging to follow the money trail and determine which institutions end up producing which types of doctors. A new study in Academic Medicine by health services researchers at George Washington University and the Robert Graham Center fills this information gap. Painstakingly assembling and cross-checking data from several sources on actively practicing physicians who completed their residency training from 2006 to 2008, they were able to identify residency-sponsoring institutions that were top producers of primary care physicians, that produced lower proportions relative to all physicians, and that produced none at all. Notably, they conclusively disproved “The Dean’s Lie“ that counts all internal medicine residents as going into primary care (when only 1 in 5 actually plan to do so), demonstrating that at some institutions fewer than 1 in 10 internists become primary care physicians. They also identified a large funding discrepancy between the top and bottom primary care producers. In 2009, when I was president-designate of the American College of Chest Physicians, a prominent physician, educator and outstanding mentor, who had recently died was honored by her colleagues. One of her junior colleagues, who had never met her but took over her patients, spoke of the profound influence she indirectly had on his life. She was his mentor in absentia, someone he looked up to as his guiding star, someone he sought to emulate. This example serves to highlight the power of mentorship. Mentorship is inspiring and guiding others to reach their full potential. The ACCP and other professional medical societies bring together professionals at different stages of their careers, for example medical students to senior and renowned experts in his or her specialty. They have the potential to foster powerful mentorship and leadership programs benefiting members in all career stages. As ACCP president, the more I interacted with ACCP members, the more I realized that a track for leadership development and mentorship was a pressing need. Medical students wanted to hear of the opportunities that the specialty offered. Fellows and young colleagues wanted to get involved with the organization but did not know where to begin and how to get their “foot in the door.” Members wanted to seek advice from senior colleagues to guide them in their research or for their academic advancement. Some wanted a certificate of participation in leadership courses offered by the organization. Finally, many members, both domestic and international, wanted to know how to climb the leadership ladder within the organization. The ACCP board of regents enthusiastically supported a leadership and mentorship initiative. A task force was developed to spearhead this effort. The task force comprised the cross-section of ACCP membership who would be involved either as a mentor or a mentee. An annual orientation course for all new leaders of the ACCP. A leadership development course for members held throughout the year. The creation of the ACCP e-Community, a closed group where members can interact and learn from one another, similar to Doximity. A leadership development course for future leaders. We work with program directors to identify and grow these leaders. Live mentorship programs incorporated into our annual meeting. Our organization has come a long way — and, we have a long way to go. We have identified a need to improve and enhance our leadership development, and we feel that enhancing leadership will lead to well-rounded members who will not only excel as physicians but also as leaders both at the ACCP and in their own careers. How have your own institutions, societies, or organizations worked to expand mentorship and leadership initiatives? Suhail Raoof is immediate past president, American College of Chest Physicians.